Ultimate Guild Challenge (part 1)!!! in Columbus, MS. You can add other colors but those need to be included. I drew Cat on a Hot Tin Roof. So first I downloaded and watched it on Amazon, I had never seen it. Loved it!! Paul Newman and Liz Taylor were amazing. 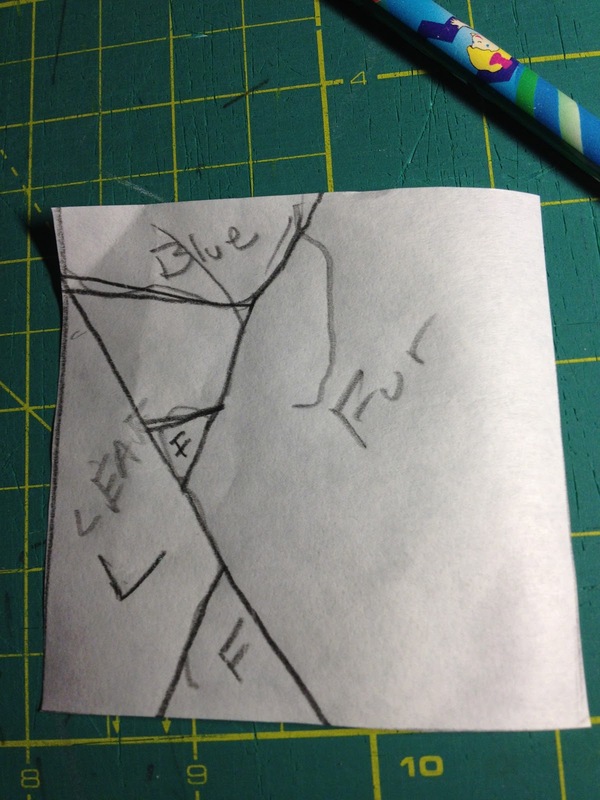 Then I came up with a plan of doing a plantation house with a cat on an out building. In October I stopped by Katherine's house and we spent the afternoon taking photos of her place. Then I resaved the pic as a black and white photo. I drew and redrew the house a lot of times but was still not happy with the perspective. Finally went to see our wonderful art teacher and she helped me out. Once I got a good drawing I ran it through my printer and printed a grid on it. Then I got some poster paper and drew a grid on it and enlarged the photo. I started sewing it block by block till I got to the house. 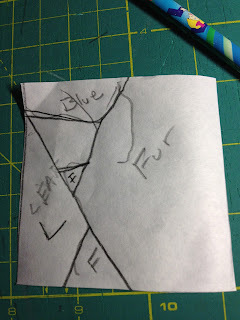 To do the trees I would trace out a block and mark what type of fabrics go where. And make that block...I would think oh, I can make a bunch of these tonight, but invariably it would take me lots longer than I thought. But none the less it kept growing, albeit slower than I would have liked. So when I got to the house I took my sewing machine out of the hole I made for it and put a light in the hole and a piece of plexi glass on it and would trace parts of the pattern to make. So the house started to grow. Ultimate Guild Challenge (part 2)!! I realized here I needed more variety in the grasses. Judy came to my rescue, and I completed the top. 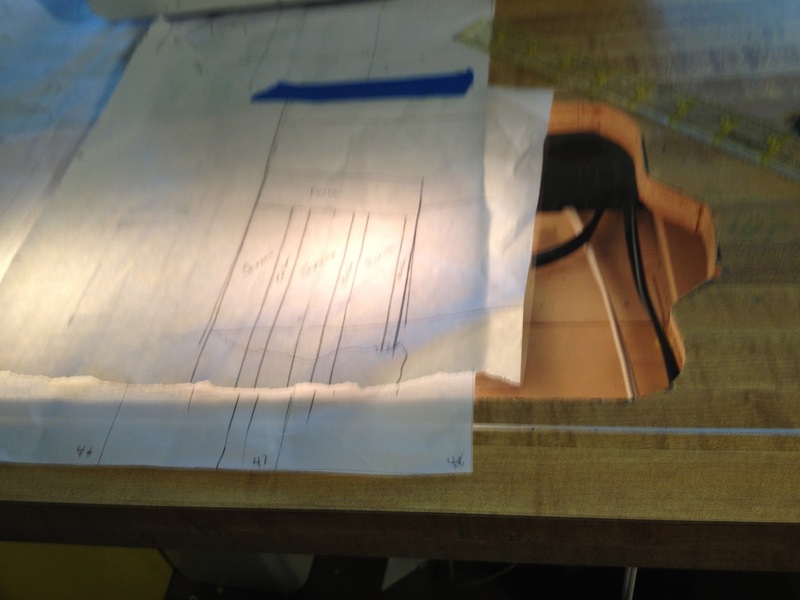 Then I laid it on the floor to take a picture and realized I had major problems. The challenge said the quilt had to be 52 by 32 and mine was 57.5! It could be plus or minus one inch so I needed to cut it down to 53. 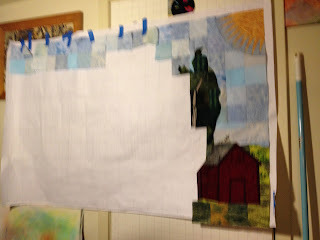 But I did not want to lose the ends and the sky was major league rippled...it was way too much to "quilt out". So I decided to get the sky to lay flat first. 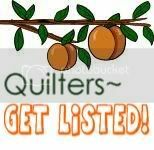 I sent pictures to some of my quilting buddies and family for suggestions. I ended up taking the house and the sky apart and adding more sky in and tightening up the seam by the chimney (my son's suggestion), so now it was pretty flat, still had a small bit of rippling, but that would quilt out. Now how to deal with the excess length??? 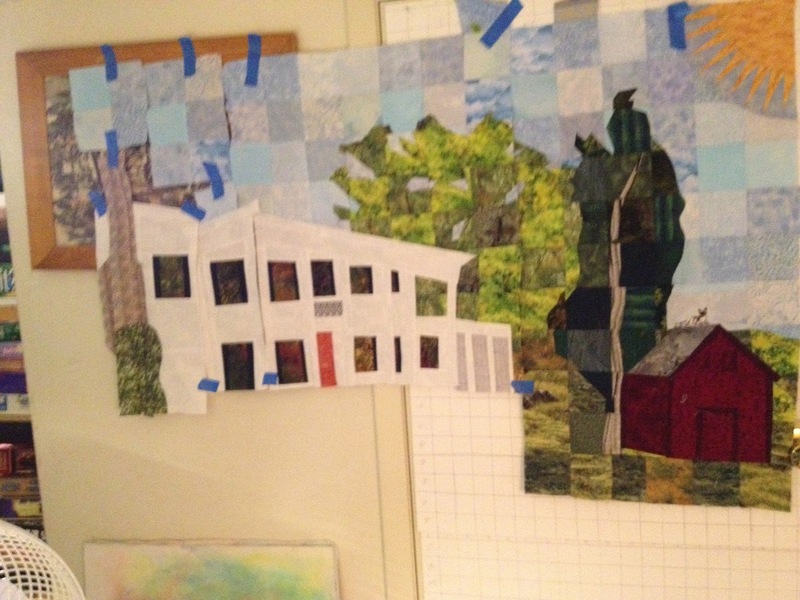 I took it to school to consult with Sarah the art teacher, who helped me on the perspective, and get her take, she said to lose the chimney on the left, my IB students also said that was the best way around it. I did not want to lose the sunflowers and chimney or the sun and shed, so what to do??? 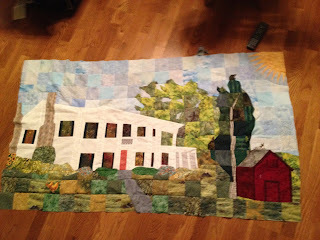 I took the quilt apart in the middle and shaved some off of all the blocks between the house and the shed. So then I put it back together still had to take some off the side with the shed, but not more than an inch. Finally had it the right size. So then I quilted it up, but it caused it to ripple up some, so frustrated, especially after I had worked so hard to get it to be mostly flat...My friend Julia had told me about blocking hers at guild day, so I decided to block mine. Julia said she used a gallon of water, I felt sure she must be exaggerating, but it did soak up a gallon!! The next morning it was dry and flat!! I am naming it Cotesworth's Kat. 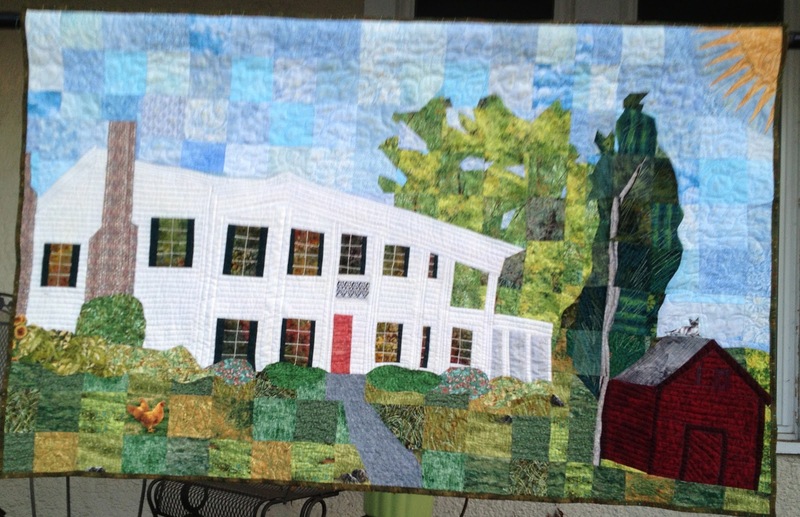 It is supposed to look like Cotesworth in N. Carrolton, the historic home of JZ George. (can't call it Cat on a Hot Tin Roof due to copywriter laws)! I always put a verse on the back of mine, so I think I am going to use Joshua 1:9b - "Be strong and of good courage; do not be afraid, nor be dismayed, for the Lord your God is with you wherever you go.” I think if Tennessee Williams had read this verse his characters would not have been so troubled.